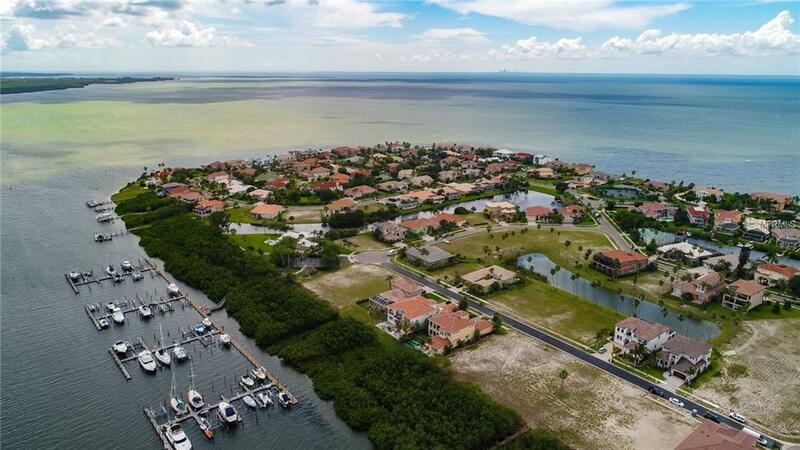 Build your waterfront dream home on a Half Acre of land in the Exclusive, 24 hour guard gated community of Andalucia, a boater and water-lovers paradise. 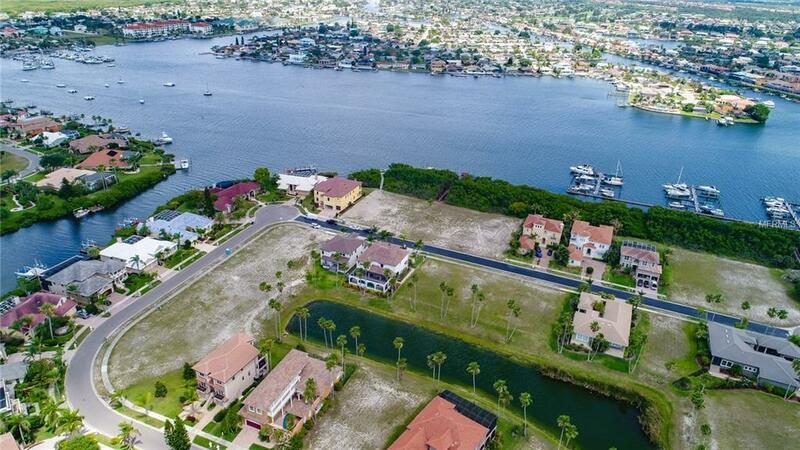 This community offers a waterfront clubhouse with pool, clay tennis courts, playground, marina and a jetty/pier with the most breathtaking views of the sunset on Tampa Bay, with the dolphins playing for your entertainment. 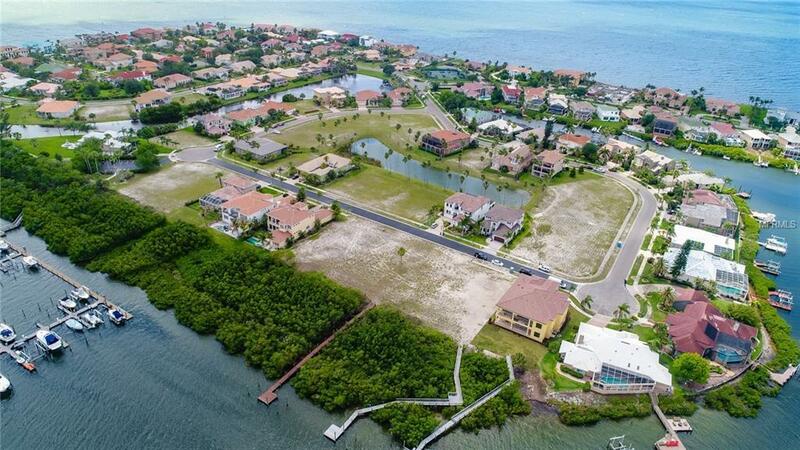 Location is great, walk or bike ride to the Apollo Beach Nature preserve with quick beach access, and nature trails for the outdoor person. Shopping, dining and entertainment is easy with being close to Brandon,Tampa, St.Pete and Orlando with easy access to I-75. Andalucia Community is growing with limited waterfront lots available. This property is being offered with two lots sold together with separate folio numbers. 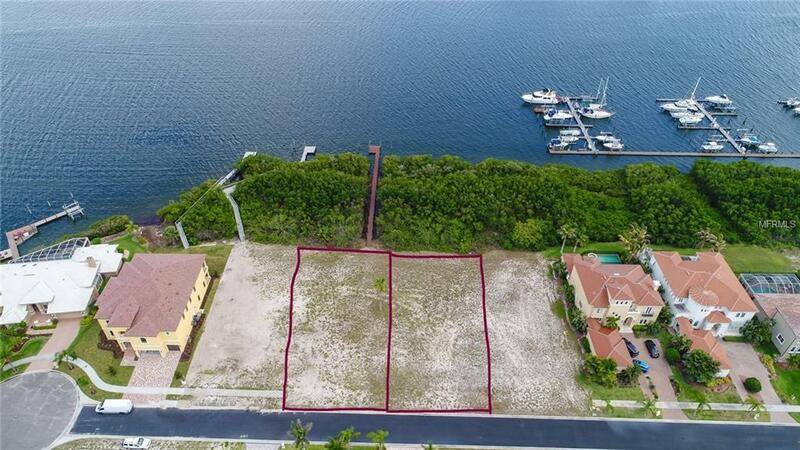 Buy both lots for prime waterfront property, 140 feet water frontage, has a 164 ft. deck walkway leading to a 12 x 13 DOCK, WITH having TWO boat slips(one on each side) The possibilities are endless with your dream home. Lots can also be sold separately. Make an appointment today!